The Welsh Ambulance Service Trust (WAST) provides urgent care services on a day-to-day basis across the whole of Wales. Like all Emergency Medical Services (EMS), it is under increasing pressure to provide wide geographical coverage and improve performance to meet Government set response times. In an attempt to improve the quality of healthcare it provides, WAST has become keen to develop new initiatives to improve its performance and work with Operational Researchers at Cardiff University to investigate more efficient ways of working. The main challenges envisioned by the Trust for the future fall within the fields of capacity planning and location analysis. This work formed part of the LANCS initiative funded by the EPSRC (Engineering and Physical Science Research Council). The key problems identified by WAST have been addressed in two separate studies. Firstly a workforce capacity planning tool has been developed which integrates forecasting, priority queueing theory and scheduling models into a single spreadsheet model to optimise resource allocation in terms of capacity. Alongside this, discrete event simulation (incorporating a geographical representation through the use of Google Maps API) has been used to reveal insights in improvements that could be gained from positioning resources in different locations. The workforce capacity planning tool allows WAST planners to predict future demand levels, evaluate fleet size to meet government targets, and develop efficient rosters for vehicle and crew members. 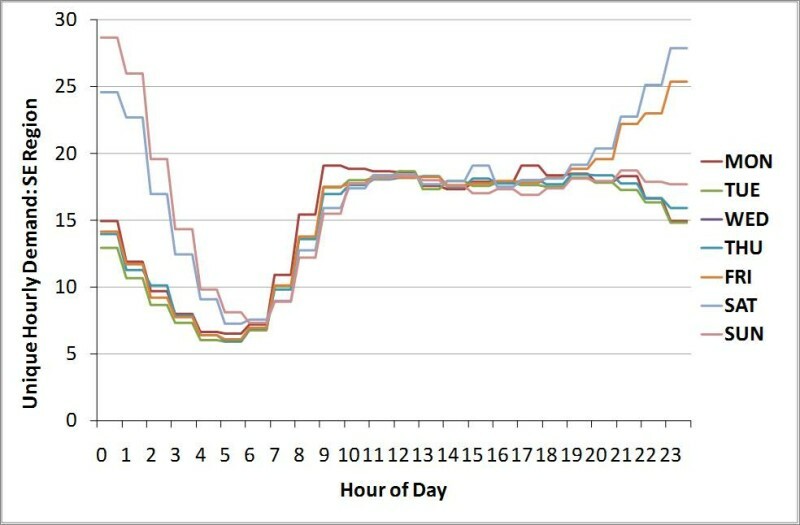 Predictions of daily demand rates from the tool for the next 3 months are around twice as accurate as those suggested by current methods and the analysis has found that considerable savings could be made through using different shift schedules for different days, rather than repeating the rosters on cyclical bases as is common in practice. 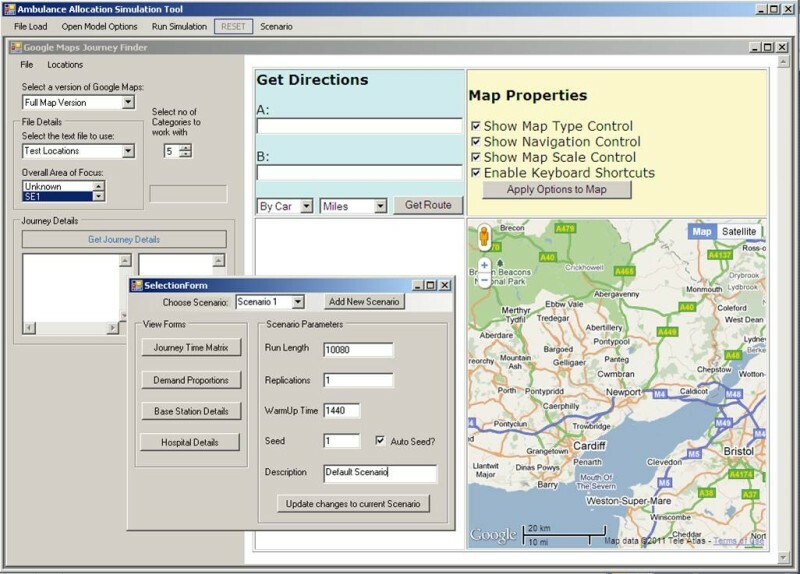 Suitable EMS capacities suggested for South East Wales by the discrete event simulation model has also been combined with location theory to generate optimal allocations of vehicles to stations which maximise coverage. By further maximising patient survival levels opposed to coverage, the model demonstrates that both patient outcomes and service performance can be improved.